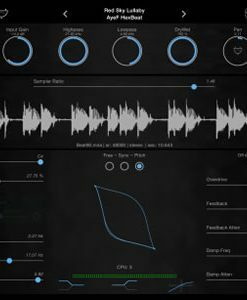 Audiobus and Inter-App Audio Effect. A brickwall peak limiting app, for the complete control of your audio volume. 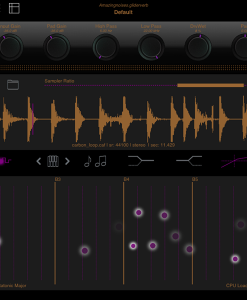 Please note that this app is made for Audiobus and Inter-App Audio; it is not intended to be used as standalone! from very gentle volume attenuation to heavy distortion (if you want it!). Super UI. Simple, nice to look at, easy to touch. Excellent MIDI CC implementation and automation. 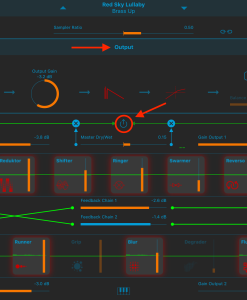 I use this app in audiobus after a drum machine and set it to Normalize. You can take a dull percussion loop and beat the heck out of it until it’s a twisted, breathing living beast. Being able to run it in the background and control it remotely is great. I haven’t explored everything this app can do. But for what I paid (a dollar), I’m extremely pleased. I was making a quick and dirty recording into Audioshare and needed to keep the drum peaks under control. This was before work, so I didn’t have a lot of time to FIX the problem at its root. But I did have this litlte app, which I slipped into Audioshare’s FX slot. Gave the default settings a quick glance, checked the resulting levels in Audioshare, and kept on recording. Thank you, Amazing Noises! 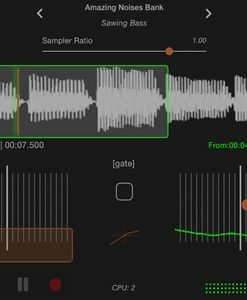 There are probably other apps that also do what Limiter from Amazing Noises does, but I find this one dollar limiter/normalizer the simplest to use. 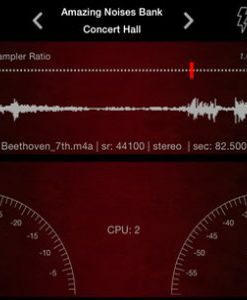 Many iOS “input” apps for music either lack volume control, or don’t allow you to monitor the level of output from the app. 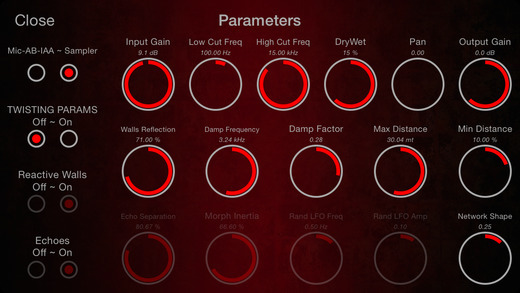 Limiter allows you to increase the output gain from the music app, and then set it to a particular threshold. This prevents volume spikes and clipping when recording into a DAW. Theoretically, you should be able to get a saturated/overdriven sound by cranking the input level and setting a limiter, though I didn’t try this. Simple, yet very useful app! 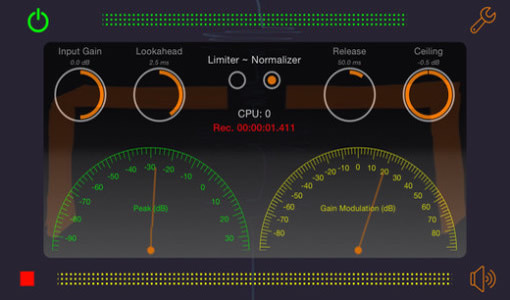 Audiotool qui permet de limiter fréq et gain en sortie. 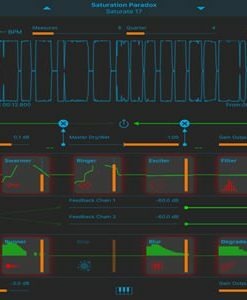 Par exemple utile lorsque l’on branche un synthé analogique sur un système hi-fi (moins costaud que monitoring) pour éviter d’abimer le matériel sur un peak. Après il faudra une très borne carte son sur l’ipad/iphone puisque faire cela implique une conversion A/N puis N/A pouvant altérer le signal… Mais vu que l’ipad est class compliant, on peut brancher n’importe quelle bonne interface mac.